Chevrolet has gone green in a completely unexpected way. The automaker recently announced a “Back to the Future”-like 2015 Bi-fuel Chevy Impala that converts trash to fuel, just like Marty McFly’s time-traveling Delorean—minus the DeLorean’s traveling perks. The bi-fuel Impala, which was created by Cleveland-based Quasar Energy Group, can run on leftovers, table scraps, and a multitude of other organic wastes. This waste is used to produce a renewable energy source known as biogas, which in turn produces methane gas. With this methane gas, the Impala is able to create Renewable Natural Gas, which is a direct replacement for Compressed Natural Gas (CNG). Much of the waste used to create the bi-fuel Impala’s fuel comes from Progressive Field, home of the Cleveland Indians, after it has been macerated in the InSinkErator Grind2Energy garbage disposal. 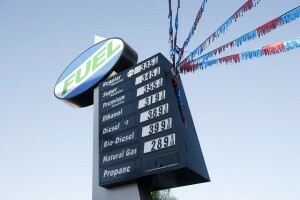 If you are worried about being able to find CNG fuel, don’t worry—the Impala was made bi-fuel specifically to drive on gasoline when CNG fuel is not available. What are your thoughts on the new bi-fuel Chevy Impala? Share your thoughts with Bradshaw Chevrolet below! This is Your Chance to Name the New Camaro SS Special Edition! 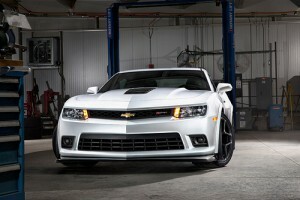 Chevrolet has announced it will introduce a new Camaro SS Special Edition at the upcoming 2014 SEMA Show in Las Vegas, this November. It’ll feature lovely new Emerald Green Metallic paint and be called the… well, actually, it doesn’t have a name yet. That’s where you come in. Chevrolet is accepting name suggestions on its Facebook page or on Twitter (hashtag #NameThatCamaro). 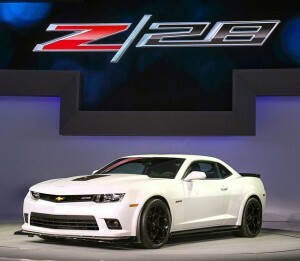 The winner will then see the special edition Camaro go on sale in the first quarter of 2015 with the name that was chosen. Pretty cool! 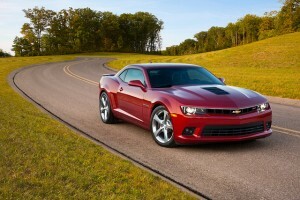 When it does go on sale at Bradshaw Chevrolet, the Camaro will be available as either a coupe or convertible in 2SS trim. It’ll get a ground effects package, the rear spoiler from the ZL1, 21-inch Chrome Dusk wheels, and Cyber Gray rally stripes down the hood and trunk. It’ll also have the HID headlights from the RS Appearance Package and black upholstery inside. 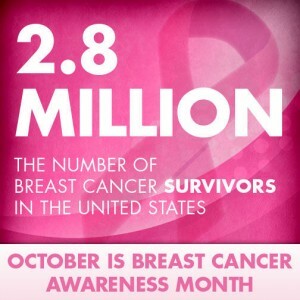 In order to fight breast cancer, Chevrolet is creating a number of events and promotions during the month of October. The events are varied and numerous, so as many people as possible can get involved. Funds will go to the American Cancer Society. Employees populating GM facilities–plants and warehouses–will hit the pavement, walking to raise funds. One of these walks took place a stone’s throw from Chevrolet headquarters in Detroit on October 11th. Also, Chevrolet has agreed to donate $10 to fight breast cancer for every Chevrolet test-driven during the month of October. The maximum caps at $130,000. Chevrolet hopes to do their part to top the 1.1 million dollars raised last year for the American Cancer Society. We at Bradshaw Chevrolet are very proud of GM’s efforts through so many events to fight breast cancer. When it comes to car awards, some stand out above others. For instance, the 100 Best Cupholders Award isn’t quite as impressive as being named to a list of the 10 Best Interiors. Okay, we might have invented the cupholder award, but you get the point. So when Chevy’s Camaro Z/28 received Motor Trend’s 2014 Best Driver’s Car award, you can understand our excitement in being recognized as the best when it really counts. Motor Trend selects the nominees from a field of all-new or significantly-updated performance models. These cars are put to the test, racing both on the track and off for the coveted spot as Best Driver’s Car. If you find yourself looking for the best car on the road for the driving enthusiast, now you know to contact us here at Bradshaw Chevy for more information on how to get behind the wheel of the 2014 Camaro Z/28.